Working with you to build our truly amazing and wonderful addition was a fun and exciting undertaking. It turned out so much better than we could have ever imagined! Even the inspector commented on your great workmanship and professionalism. So, again we say THANK YOUR, THANK YOU, THANK YOU. We love our new room! 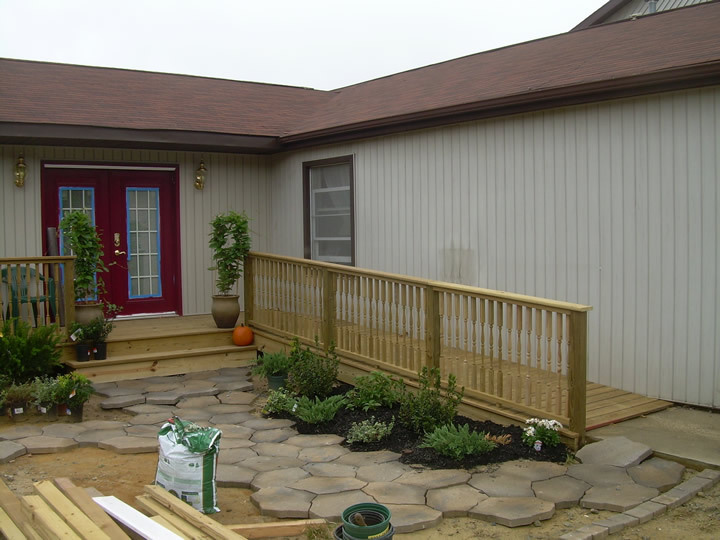 A new entry deck, stairs and ramp were added to the front of the home. A new entry was also constructed at the front of the home.